We propose and demonstrate an agile X-band signal synthesizer with ultralow phase noise based on all-fiber-photonic techniques for radar applications. It shows phase noise of −145 dBc/Hz (−152 dBc/Hz) at 10 kHz (100 kHz) offset frequency for 10 GHz carrier frequency with integrated RMS timing jitter between 7.6 and 9.1 fs (integration bandwidth: 10 Hz–10 MHz) for frequencies from 9 to 11 GHz. Its frequency switching time is evaluated to be 135 ns with a 135 pHz frequency tuning resolution. In addition, the X-band linear-frequency-modulated signal generated by the proposed synthesizer shows a good pulse compression ratio approximating the theoretical value. In addition to the ultrastable X-band signals, the proposed synthesizer can also provide 0–1 GHz ultralow-jitter clocks for analog-to-digital converters (ADC) and digital-to-analog converters (DAC) in radar systems and ultralow-jitter optical pulse trains for photonic ADC in photonic radar systems. The proposed X-band synthesizer shows great performance in phase stability, switching speed, and modulation capability with robustness and potential low cost, which is enabled by an all-fiber-photonics platform and can be a compelling technology suitable for future X-band radars. J. D. McKinney, “Photonics illuminates the future of radar,” Nature 507, 310–312 (2014). I. S. Merrill, Introduction to Radar Systems, 3rd ed. (McGraw-Hill, 2001). J. R. Vig, “Introduction to quartz frequency standards,” (Army Research Laboratory Electronics and Power Sources Directorate, 1992). J. Taylor, “Effects of crystal reference oscillator phase noise in a vibratory environment,” (Motorola, SOTAS Engineering Development Section, Radar Operations, 1980). D. B. Leeson, “Oscillator phase noise: a 50-year review,” IEEE Trans. Ultrason. Ferroelectr. Freq. Control 63, 1208–1225 (2016). M. Jankovic, “Phase noise in microwave oscillators and amplifiers,” Ph.D. dissertation (University of Colorado, 2010). G. Krieger and M. Younis, “Impact of oscillator noise in bistatic and multistatic SAR,” IEEE Geosci. Remote Sens. Lett. 3, 424–428 (2006). T. Pollet, M. Vanbladel, and M. Moeneclaey, “BER sensitivity of OFDM systems to carrier frequency offset and Wiener phase noise,” IEEE Trans. Commun. 43, 191–193 (1995). A. G. Armada, “Understanding the effects of phase noise in orthogonal frequency division multiplexing (OFDM),” IEEE Trans. Broadcast. 47, 153–159 (2001). M. Jamil, H.-J. Zepernick, and M. I. Pettersson, “On integrated radar and communication systems using Oppermann sequences,” in IEEE Military Communications Conference (IEEE, 2008), pp. 1–6. G. C. Tavik, C. L. Hilterbrick, J. B. Evins, J. J. Alter, J. G. Crnkovich, J. W. de Graaf, W. Habicht, G. P. Hrin, S. A. Lessin, D. C. Wu, and S. M. Hagewood, “The advanced multifunction RF concept,” IEEE Trans. Microwave Theory Tech. 53, 1009–1020 (2005). J. A. Molnar, I. Corretjer, and G. Tavik, “Integrated topside-integration of narrowband and wideband array antennas for shipboard communications,” in IEEE Military Communications Conference (IEEE, 2011), pp. 1802–1807. P. H. Zhao, “The technologies of multifunction integrated RF system,” Radar ECM 3, 9–13 (2011). L. Peruzzi, “Integrated masts and EW: present and future solutions in Europe,” J. Electron. Def. 37, 24–26 (2014). C. Sturm, T. Zwick, and W. Wiesbeck, “An OFDM system concept for joint radar and communications operations,” in IEEE Vehicular Technology Conference (IEEE, 2009), pp. 1–5. Y. L. Sit, C. Sturm, L. Reichardt, T. Zwick, and W. Wiesbeck, “The OFDM joint radar-communication system: an overview,” in 3rd International Conference on Advances in Satellite and Space Communications (2011), pp. 69–74. R. A. Poisel, Introduction to Communication Electronic Warfare Systems (Artech House, 2008). A. R. Hunt, “Use of a frequency-hopping radar for imaging and motion detection through walls,” IEEE Trans. Geosci. Remote Sens. 47, 1402–1408 (2009). C. Y. Chen and P. P. Vaidyanathan, “MIMO radar ambiguity properties and optimization using frequency-hopping waveforms,” IEEE Trans. Signal Process. 56, 5926–5936 (2008). 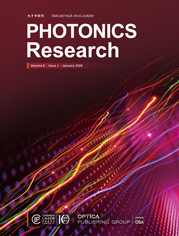 P. Ghelfi, F. Scotti, F. Laghezza, and A. Bogoni, “Phase coding of RF pulses in photonics-aided frequency-agile coherent radar systems,” IEEE J. Quantum Electron. 48, 1151–1157 (2012). T. Sun, L. Zhang, A. K. Poddar, U. L. Rohde, and A. S. Daryoush, “Frequency synthesis of forced opto-electronic oscillators at the X-band,” Chin. Opt. Lett. 15, 010009 (2017). L. Hoover, H. Griffith, and K. DeVries, “Low noise X-band exciter using a sapphire loaded cavity oscillator,” in IEEE International Frequency Control Symposium (IEEE, 2008), pp. 309–311. T. M. Fortier, A. Rolland, F. Quinlan, F. N. Baynes, A. J. Metcalf, A. Hati, A. D. Ludlow, N. Hinkley, M. Shimizu, T. Ishibashi, J. C. Campbell, and S. A. Diddams, “Optically referenced broadband electronic synthesizer with 15 digits of resolution,” Laser Photon. Rev. 10, 780–790 (2016). D. Kwon, C. G. Jeon, J. Shin, M. S. Heo, S. E. Park, Y. Song, and J. Kim, “Reference-free, high-resolution measurement method of timing jitter spectra of optical frequency combs,” Sci. Rep. 7, 40917 (2017). K. Jung and J. Kim, “All-fibre photonic signal generator for attosecond timing and ultralow-noise microwave,” Sci. Rep. 5, 16250 (2015). L. Duan, “Intrinsic thermal noise of optical fibers due to mechanical dissipation,” Electron. Lett. 46, 1515–1516 (2010). K. H. Wanser, “Fundamental phase noise limit in optical fibers due to temperature fluctuations,” Electron. Lett. 28, 53–54 (1992). T. M. Fortier, F. Quinlan, A. Hati, C. Nelson, J. A. Taylor, Y. Fu, J. Campbell, and S. A. Diddams, “Photonic microwave generation with high-power photodiodes,” Opt. Lett. 38, 1712–1714 (2013). K. Jung and J. Kim, “Subfemtosecond synchronization of microwave oscillators with mode-locked Er-fiber lasers,” Opt. Lett. 37, 2958–2960 (2012). K. Jung, J. Shin, and J. Kim, “Ultralow phase noise microwave generation from mode-locked Er-fiber lasers with subfemtosecond integrated timing jitter,” IEEE Photon. J. 5, 1–7 (2013). T. J. Endres, R. B. Hall, and A. M. Lopez, “Design and analysis methods of a DDS-based synthesizer for military spaceborne applications,” in IEEE International Frequency Control Symposium (IEEE, 1994), pp. 624–632. B. G. Anderson, “Frequency switching time measurement using digital demodulation,” IEEE Trans. Instrum. Meas. 39, 353–357 (1990). D. Brandon, “Determining if a spur is related to the DDS/DAC or to some other source,” http://www.analog.com/media/en/technicaldocumentation/application-notes/131351807AN_927.pdf . A. Chenakin, “Frequency synthesis: current solutions and new trends,” Microwave J. 50, 256–260 (2007). M. Pichler, A. Stelzer, P. Gulden, C. Seisenberger, and M. Vossiek, “Phase-error measurement and compensation in PLL frequency synthesizers for FMCW sensors- I: context and application,” IEEE Trans. Circuits Syst. I 54, 1006–1017 (2007). A. Lewandowski, K. Kucy, and D. Startek, “High-speed DDS-based generator of pulses with an arbitrary frequency modulation,” in International Conference on Microwaves, Radar & Wireless Communications (IEEE, 2006), pp. 125–128. C. Cook, Radar Signals: An Introduction to Theory and Application (Elsevier, 2012). W. Y. Z. Zhimin, “Effect of LFM signal flatness on pulse compression performance,” Radar Sci. Technol. 2, 100–103 (2003). D. Kwon and J. Kim, “All-fiber interferometer-based repetition-rate stabilization of mode-locked lasers to 10−14-level frequency instability and 1-fs-level jitter over 1-s,” Opt. Lett.309718 (to be published). Fig. 1. Diagram of the demonstrated all-fiber-photonics-based X-band synthesizer. AOFS, acousto-optic frequency shifter; FBG, fiber Bragg grating; FRM, Faraday rotating mirror; BPD, balanced photodetector; BPF, bandpass filter; LPF, low-pass filter. Fig. 2. Absolute SSB phase noise and integrated timing jitter of the generated microwave signals. Curve (i) [black], phase noise of the 10 GHz DRO locked to the stabilized MLL. Curve (ii) [pink], phase noise floor of the used PNA at 10 GHz carrier frequency. Curve (iii) [blue], projected phase noise at 10 GHz by an optical-domain measurement. Curve (iv) [light purple], residual noise floor of FLOM-PD synchronization. Curve (v) [green], phase noise of the 9 and 11 GHz signals from the synthesizer output. Note that the red area indicates the phase noise range of the DDS output from 10 MHz (bottom red curve) to 1 GHz (top red curve). As a result, the phase noise of the synthesizer output (9–11 GHz) lies between curve (i) (10 GHz) and curve (v) (9 and 11 GHz), indicated as the diagonal patterned area. Curve (vi), integrated timing jitter for curve (i). Curve (vii), integrated timing jitter for curve (iii). Curve (viii), integrated timing jitter for curve (v) at 9 GHz. Fig. 3. Phase error during frequency transition and settling process. Inset, waveform captured by the oscilloscope at the moment that frequencies transit and settle. Fig. 4. Spur suppression ratio for 50 MHz–1 GHz output range in 1.25 GHz span. Inset, the spectrum for 500 MHz output. Fig. 5. (a) Recovered instantaneous frequency of LFM signal increased from 10.5 to 11 GHz in 500 ns. (b) Autocorrelation of the LFM signal in (a).